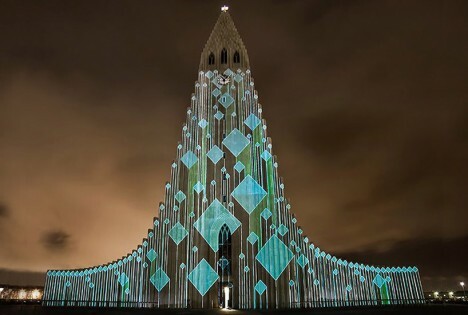 Imbued with a sense of reverence, not to mention all those beautifully vaulted spaces, cathedrals and other sacred spaces can be stunning settings for art installations of all kinds, from ethereal light projections to complex arrangements of string. 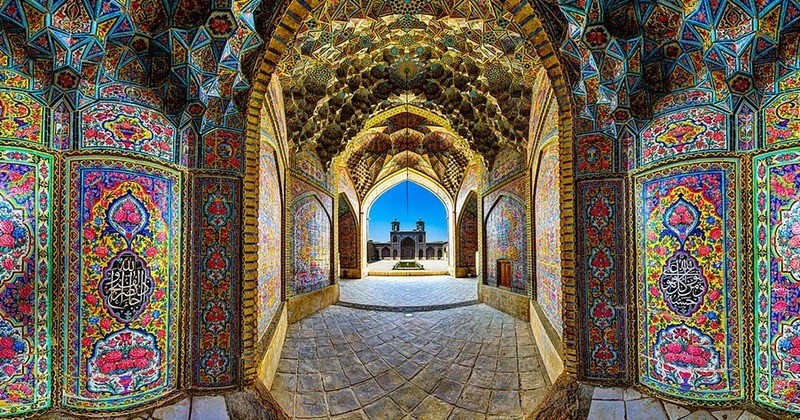 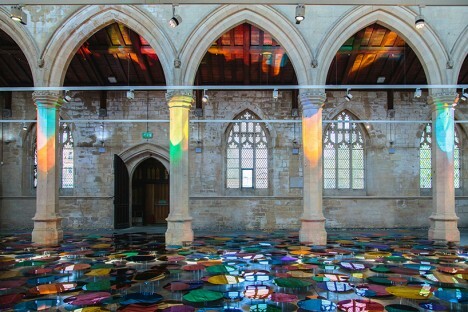 Abandoned churches get the revival of a lifetime when painted floor-to-cupola with vivid murals, while the ruins of long-lost cathedrals are resurrected in ghostly wire forms. 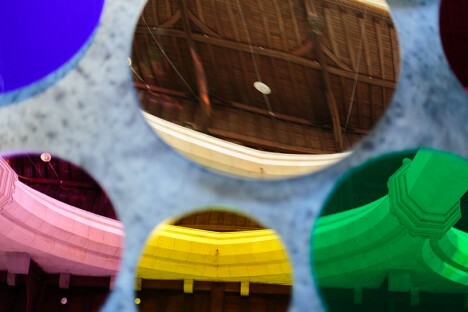 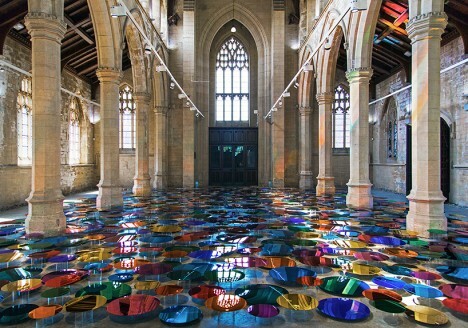 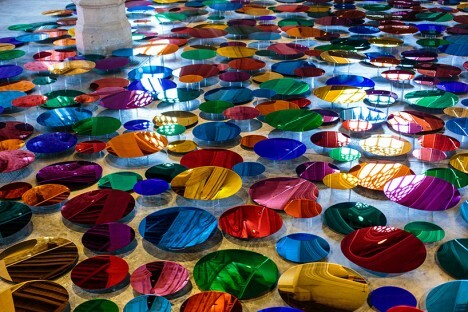 Hundreds of mirrored discs in a spectrum of colors hover above the floor of England’s former St. John’s Church in Scunthorpe, reflecting rainbow light all over the interior. 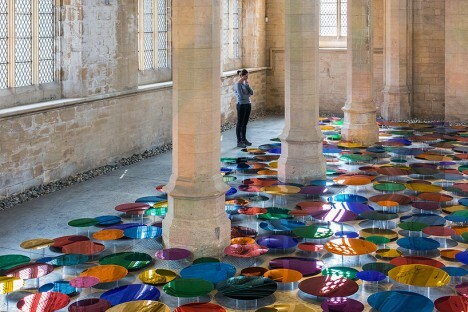 The installation by Liz West is gorgeous when taking it in as a whole, but step closer and you’ll see that each disc is like a miniature work of art in itself, containing its own tiny composition of architectural elements. 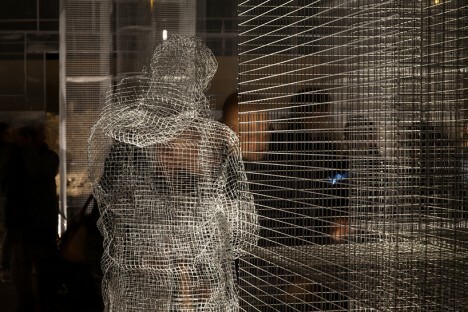 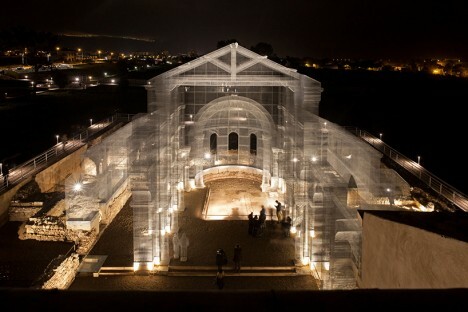 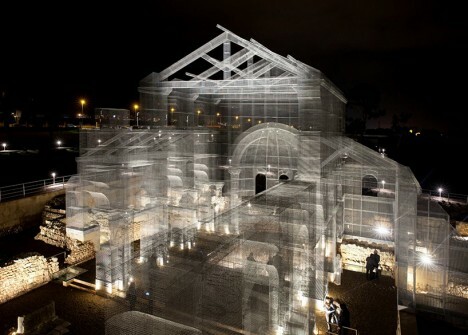 A long-lost early Christian basilica is resurrected in ghostly form, its contours traced in wire for a translucent effect. 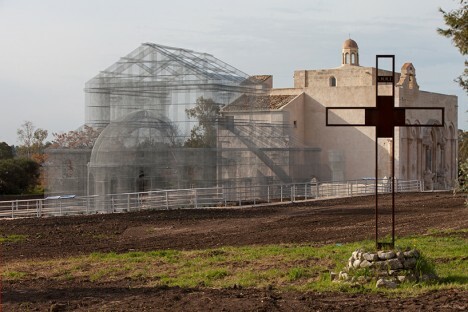 Located in the historic park of Siponto in the Southern Italian region of Puglia, this installation by Edoardo Tresoldi lets modern-day visitors explore the church as it is thought to have appeared centuries ago. 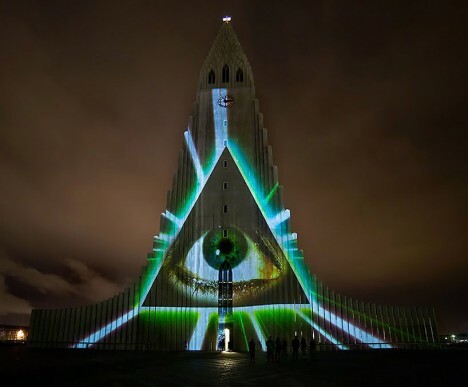 Artist and architect Marcos Zotes uses the facade of Hallgrímskirkja, Iceland’s largest church, as a canvas for projections of monumental proportions in a show called ‘Rafmognu? 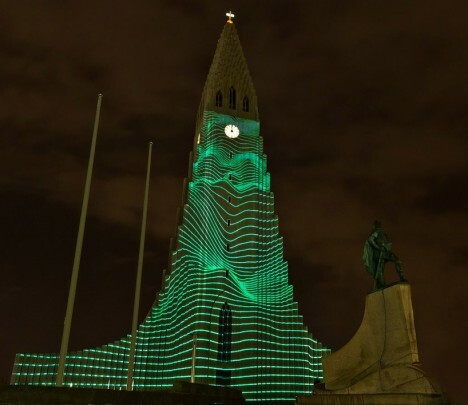 Náttúra.’ Moderating the color and movement through a midi controller, the artist created a dynamic visual experience that made the architecture seem to come alive. 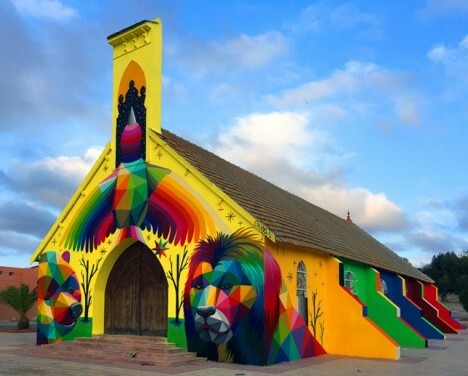 An abandoned and dilapidated church gets a striking makeover with the addition of a vivid mural covering nearly all of its exterior surfaces. 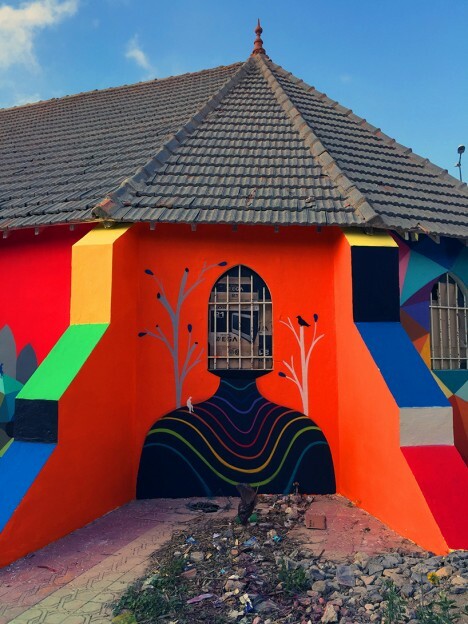 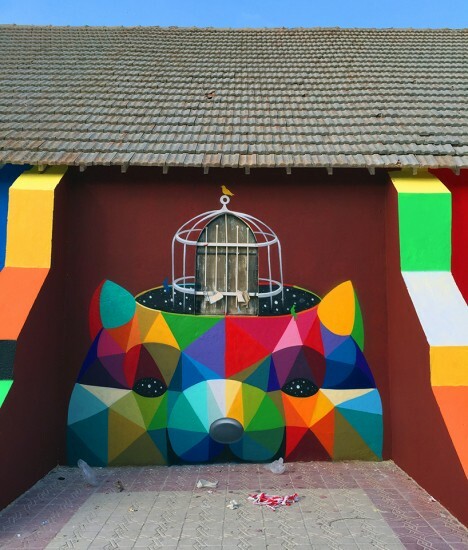 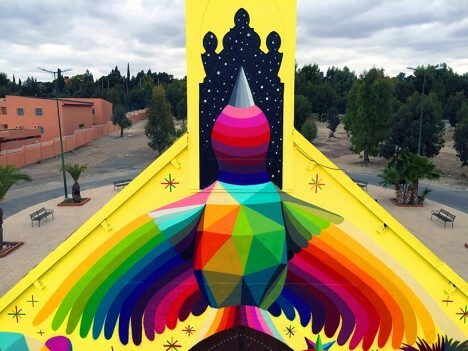 Street artist Okuda San Miguel painted ’11 Mirages to Freedom’ on the outside of this church in Morrocco as an interactive display honoring its past as well as its structural beauty.